Kyla Mandel, Editor of DeSmog UK, began working with DeSmog UK as deputy editor in November 2014 shortly after the project launched. During this time, she has broken numerous stories on energy policy, including one on the Koch Brothers’ European lobbying efforts. In March 2015 she was appointed DeSmog UK’s Editor. She has also covered international climate science denial efforts in Rome and Washington D.C., and joined DeSmog’s reporting team in December 2015 at the Paris COP21 climate conference. Originally from Montreal, Canada, Kyla has been living in London for the past several years working for titles such as Green Futures Magazine, EnergyDesk and most recently The ENDS Report. Her work has also appeared on Forbes Online and The Guardian’s Sustainable Business channel. Kyla is currently researching climate refugees at Columbia University’s graduate journalism school. The Supreme Court declined to hear an appeal from ExxonMobil regarding Massachusetts Attorney General Maura Healey’s climate change investigation Monday, a decision legal experts called a “crushing blow” to the oil giant. Understanding climate anxiety, and how to incorporate psychology into our plans for tackling climate change is growing, but only slowly. 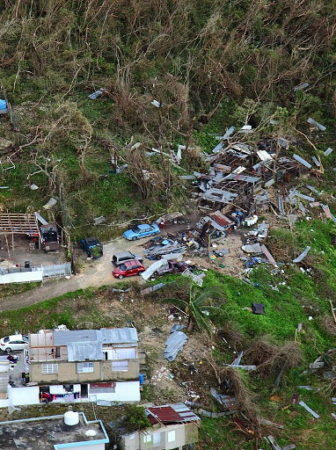 A much anticipated study into the death toll from Hurricane Maria was released Tuesday. The independent report, commissioned by the governor of Puerto Rico, puts the number of people who died at 2,975 ith low-income communities and elderly men at the highest risk of death. How did the green movement start and where is it headed? If we imagine a post carbon world, we will be more able to achieve it.